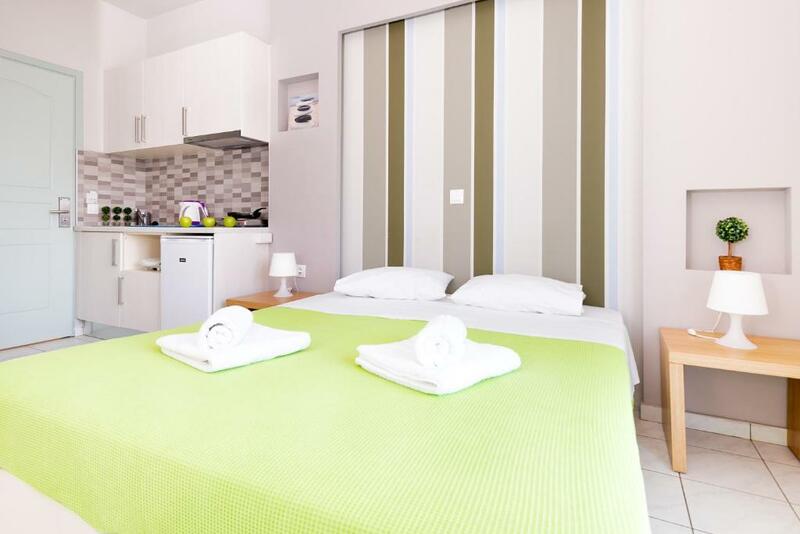 Everything- perfect location for us , great shower and room facilities and lovely pool .All super clean ! Nothing to dislike about the studio room. 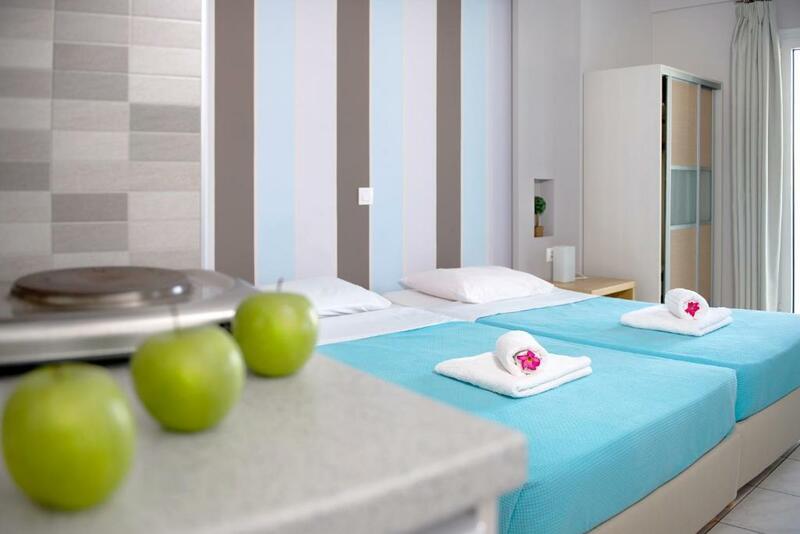 Sheets and towels changed every two days, decoration very modern and clean looking. Cake given to guests on arrival and just before departure. Clean pool and comfortable sunbeds. Great location, on the whole the rooms and facilities were clean. The people who ran the bar were lovely, very friendly and welcoming. 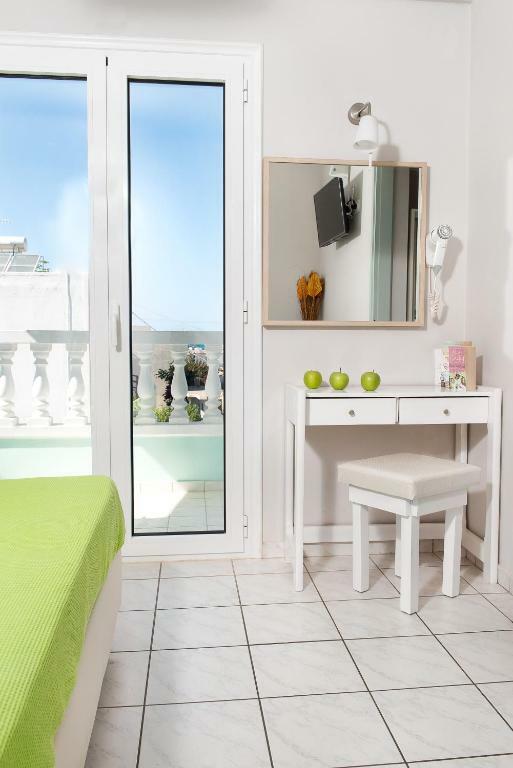 Beautiful rooms and in a great location, around 300m from the beach. Pool area was nice and quiet. The staff were all very friendly and helpful. Great hotel will definitely be back in the future. Excellent location, never lost for things to do. All the staff were very friendly with a great atmosphere in the hotel, bar and by the pool. Very close to the beach and the restaurants and bars. Also not far to wander up to the local bus stop and the buses are very reasonable and come regularly. Struttura modesta ma moderna, con tutti i confort che servono. Appartamento pulito e ben servito. Piscina tranquilla, piacevole. George è sempre gentile e disponibile. Ci tornerei domani! 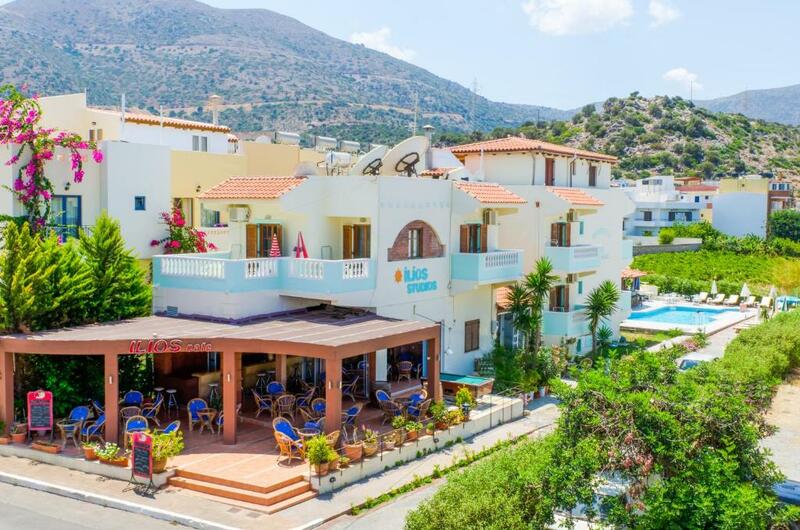 Lock in a great price for Ilios Studios – rated 9.1 by recent guests! One of our best sellers in Stalís! 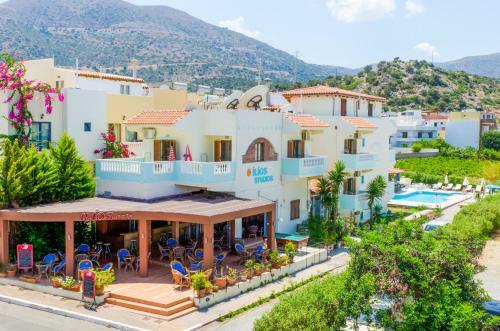 Just 19 miles east of Heraklion Airport, Ilios Studios are just steps from the long sandy beach of Stalis, offering spacious accommodations with modern amenities. 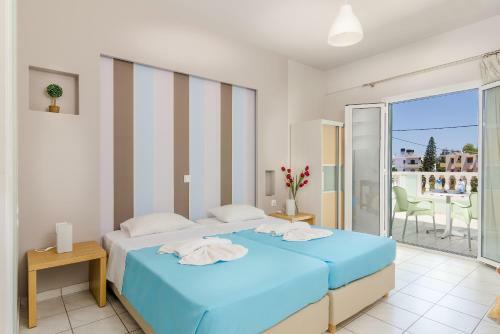 These comfortable studios provide an excellent base for exploring Crete, with their close proximity to the mountains and beaches, as well as just an hour from Heraklion, the capital city of Crete. Rejuvenate on the nearby beach and soak up the sun. 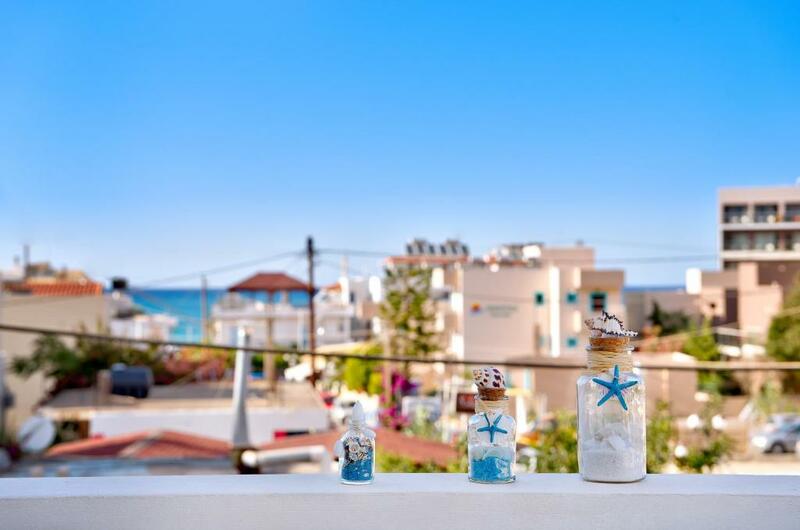 Ilios Studios is an ideal choice for those who would like to enjoy a relaxing family vacation by the beach. 뀐 Located in the top-rated area in Stalís, this property has an excellent location score of 9.5! 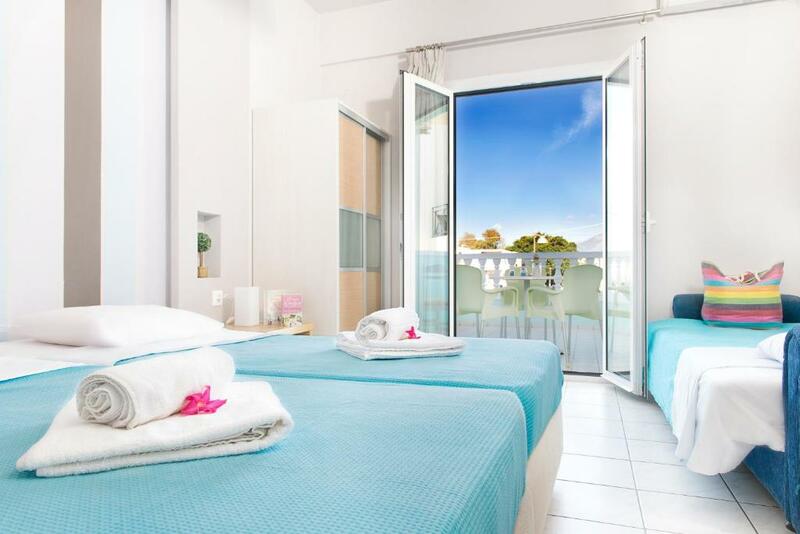 When would you like to stay at Ilios Studios? These studios open to a balcony and patio, and feature a kitchenette with a fridge and kitchenware. Please note that air conditioning and a safety deposit box are available at an extra charge. 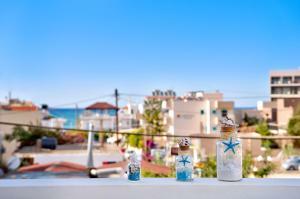 Ilios Studios are situated in Stalis, which is 30Km east of Iraklion's port and airport. The 4 km long Stalis splendid beach is just steps away from the hotel. Stalis region offers important archaeological sights along with cosmopolitan summer resorts full of life and a superb night entertainement. Our guests can take advantage of our ideal location in the heart of the vilage and enjoy a big variety of taverns, night clubs, various shops, cafes, super market, pharmacies and a medical center which can be found within walking distance! If you don't feel like cooking yourself, you can always try out the local delicacies in the taverns around Ilios Studios. This is a family apts-Studios and me and my family run it. We are very welcome hosts and we hope to make you fill like home. House Rules Ilios Studios takes special requests – add in the next step! Ilios Studios accepts these cards and reserves the right to temporarily hold an amount prior to arrival. Please inform Ilios Studios of your expected arrival time in advance. You can use the Special Requests box when booking, or contact the property directly using the contact details in your confirmation. No one on Reception on arrival, had to seek out owner. It would have been nice to have more drawer space. I amended my payment details after booking this property & you confirmed amendment was done however payment was take on the original bank account which cost me extra charge.